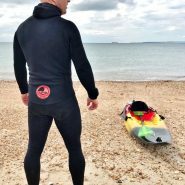 We often have quite a selection of used kit and wetsuits. Sometimes these can be suits that have been tested by our sponsored riders as part of our design evolution and are hardly used. They can even be size samples from a new range of kit we are developing. We sometimes get folks in that part exchange a suit that have ordered (in another brand) and are not happy with the fit and buy one of ours after having a proper fitting. Any suits we sell used are always checked over and a proper description of the condition will be included with the details. 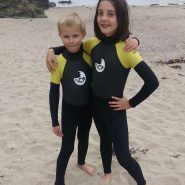 We have a lot of used kits wetsuits, full and short suits. We also get a lot of regular buyers of kits kit returning items to us when they buy a bigger size most years and holiday makers even pop in and leave us kit they are not going to use again. Follow the links below for details of current stock…..